Singer, actor, songwriter, and businessman Marc Anthony has successfully merged dozens of sizzling chart-topping Latin music hits with purposeful entrepreneurism. The Salsa king has released a number of hit albums and songs, and delved into films with number of roles including release of the biopic El Encante with Jennifer Lopez. Not one to rest on his laurels, Anthony has also garnered a collection of Latin Grammy Awards, debuted his own clothing line, and amassed unyielding star power amidst the cohesive genres of entertainment and fashion. Marco Antonio Muniz was born in New York City on September 16, 1968. Marco’s Puerto Rican parents, Guillermina and Felipe, named their son after a popular Mexican balladeer, and raised Marco and his sister in the cultural music mecca of Manhattan, New York. Marco was recognized as a talented musician at an early age, and he dedicated his youth to honing his singing and stage presence skills. The young artist also made the wise decision to change his name from Marco Muniz to Marc Anthony in order to eliminate confusion with his popular namesake, and to set the stage for his own career in entertainment. In 1994, Anthony and his then girlfriend, Debbie Rosado, welcomed a daughter, Arianna. His relationship with Debbie eventually ended, and in 2000, Marc married former Miss Universe Dayanara Torres. He and Dayanara had two sons: Cristian Muniz was born in 2001, and Ryan Muniz was born in 2003. Marc’s marriage with Dayanara ended in 2004. Shortly after his divorce from Dayanna, Marc wed Jennifer Lopez, a multi-platinum recording artist and popular film actress. During their marriage the duo collaborated on several recordings and films, including Grammy performances and a 2007 tour, Jennifer Lopez and Marc Anthony en Concierto. In February of 2008, he and Jennifer welcomed twins Max and Emme; however, the couple split three years later and officially divorced in 2014. In November of 2014, Marc Anthony and Venezuelan model Shannon De Lima married at his home in the Dominican Republic. Building his personal music resumé in Manhattan’s music scene, Marc Anthony quickly became a go-to session and backup singer with hot acts performing in the popular clubs and robust music recording scene found exclusively in ‘The Big Apple.’ Marc logged memorable performances with several of the city’s popular Latin music acts including Menudo, the Latin Rascals, Little Louie Vega, and Todd Terry. As his career in music evolved, Marc released his first album, Rebel, on the Bronx-based Blue Dog Records label in 1988. 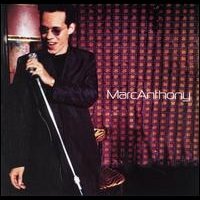 Yet one of Marc Anthony’s most notable breaks came in 1992, when he opened for Latin mambo and jazz star Tito Puente at New York City’s Madison Square Garden. 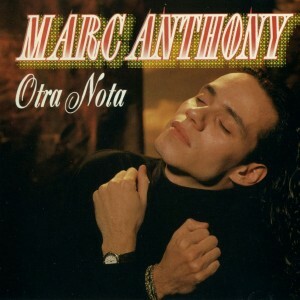 Capitalizing on his rising music career, Marc released his debut studio album, Otra Nota, in 1993. 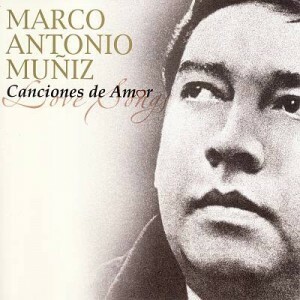 The Spanish-language compilation contained a cover of Juan Gabriel’s hit salsa single, “Hasta que te Conoci” (Until I Met You). Marc received a Grammy Award for Best Latin Tropical Performance. He released three more Spanish-language albums, Todo a Su Tiempo, Contra La Corriente, and 2010’s Iconos, which topped Billboard charts for several weeks. The Latin music artist eventually made a decision to crossover into mainstream pop with his 1999 album, Marc Anthony, which went triple-platinum and helped launch the Latin Pop Music explosion. He received a second Grammy in 2000 for the first-ever Latin Song of The Year, for his hit song, “Dimelo” (I Need To Know,) a chart-topping hit from his 1999 self-titled release. 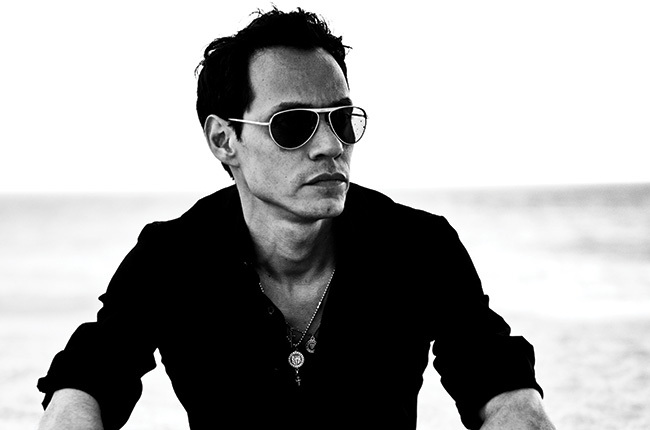 In his renowned career, Marc Anthony has logged 25 Billboard top hits, and has sold over 12 million albums. Recent success includes 2013’s salsa hit, “Vivir Mi Vida,” which spent 18 weeks at Billboard’s #1 Latin spot. The song also captured another Latin Grammy Award, this time for Recording of the Year. Combined with other chart toppers including “Flor Palida” and “A Quien Quiero Mentirle,” these three releases have accumulated over 350 million YouTube views! Traidora with Gente de Zona. 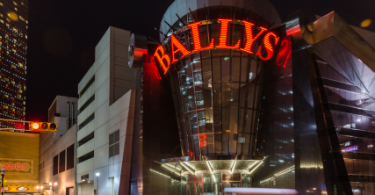 His 2015 tour wraps up with February 2016 appearances in Bridgeport CT, Newark NJ, and New York City, and a final concert in San Jose, Costa Rica on February 20, 2016. Marc Anthony made his big screen debut in the 1996 Stanley Tucci/Campbell Scott film, Big Night. He followed in 1999 as Noel in Martin Scorcese’s 1999 production, Bringing Out The Dead. He appeared in 2001 opposite Salma Hayek in the Showtime original movie, In the Time of Butterflies. And in 2004, Marc Anthony played Samuel Ramos in the critically acclaimed Tony Scott film, Man on Fire, with Denzel Washington and Christopher Walken. 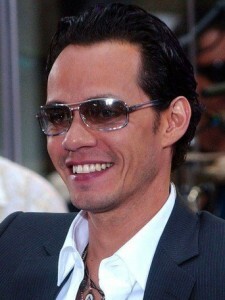 Marc also collaborated with then-wife Jennifer Lopez on the 2007 movie biopic, El Cantante, a riveting memoir of the famed and tragic life of salsa singer Hector Lavoe. 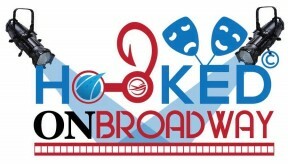 Marc Anthony added theatre to his resumé in 1998 when he made his Broadway debut as Latin singer and politial activist Ruben Blades in Paul Simon’s stage musical, The Capeman. The story chronicled the life of Puerto Rican gang member and convicted murderer, Salvador Agrón. In 2010, after a conversation with fashion magnate Tommy Hilfiger, the Latin singer and A-list actor turned his sights to fasion when he debuted The Marc Anthony Collection. The collection is a men’s lifestyle clothing brand which features contemporary sportswear, dress shirts, suit coordinates, shoes and accessories designed with current fashion trends and at an affordable pricepoint. The Marc Anthony Collection debuted with The Jennifer Lopez Collection at Kohl’s Department store in 2011, and was the biggest product launch in the retailer’s history. Both clothing lines are also available through several online retailers. 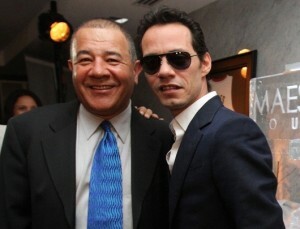 In January 2012, Marc Anthony co-created the Maestro Cares Foundation with Latin music promoter Henry Cárdenas. The non-profit organization is dedicated to tackling the profound challenges of housing, education and health care in the orphaned children of developing Latin American countries. In 2014 the organization opened its first orphanage, Niños de Cristo, a home for over 150 orphaned children in the Dominican Republic. In 2015 the foundation joined Lima Perú’s MABA Project, opened the Monseñor Victor Tamayo orphanage in Colombia, and broke ground on its fifth project, Hogar San Miguel, in Ponce, Puerto Rico. A consummate businessman, Marc Anthony announced the formation of Magnus Media in April of 2015. The diverse entertainment organization will focus on top worldwide Latino musicians and content creators, and will include an artist management company, music publishing, digital content creation, film & television projects, and a music recording label. The career of Marc Anthony continues to evolve on a global level. 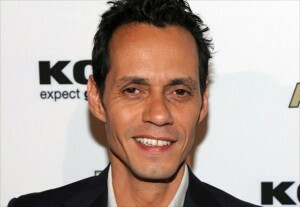 As a chart-topping pop singer, Grammy winner, ambassador of Latin music, critically acclaimed actor, fashion industry icon, and champion of orphans in developing countries, Marc Anthony transcends boundaries, paves new roads, and and brings hope, opportunity and cultural awareness to millions of fans and followers. 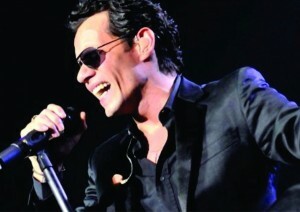 Visit Marc Anthony’s official website for more information and a schedule of concert dates. Follow Marc Anthony on Facebook, Twitter, and Instagram. I think Marc is way underrated for what he actually did to the music industry in general. Would love to see more appreciation for him. Marc Anthony is one of the greats, for sure. I hope to see much more from him in the future. If I hadn’t read about this guy I wouldn’t have had as much to admire about him. Respect! As a huge fan of Latin music, I can have only appreciation for this guy. And I hope to see more of him in the future.